Composer, Conductor. He is considered the most important and influential British musician of his generation. 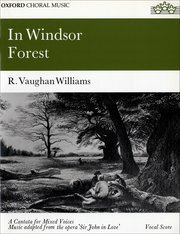 Vaughan Williams' music displays a distinctly English character derived from his country's folk and Renaissance tradition, which he absorbed into a very personal style. His nine symphonies constitute one of the outstanding achievements of the 20th Century repertory. 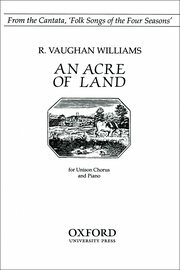 Ralph (pronounced "Rafe") Vaughan Williams was born at Down Ampney, Gloucestershire, the son of a clergyman. On his mother's side of the family he was related to Charles Darwin. He studied at the Royal College of Music and at Cambridge, followed by private instruction with Max Bruch in Berlin (1897). Despite his talent and training he was slow to develop as a artist because he had little sympathy for the Wagner-dominated musical scene of the time. While at the RCM in 1895 he formed a lifelong friendship with fellow student Gustav Holst, and the two tackled the problem of creating a new home-grown musical idiom. 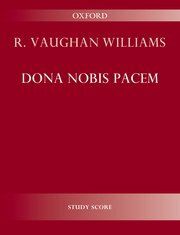 Vaughan Williams hit upon a solution through his discovery of old English folk and church music. 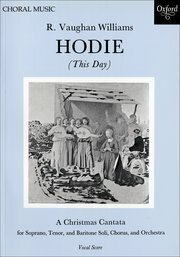 From 1903 he gathered and published over 800 country tunes while also serving as editor of "The English Hymnal" (1904 to 1906), a collection of sacred vocal works from the 16th Century to the early 1900s. He contributed several original pieces to this set, in which he experimented with Elizabethan modal harmony within a modern framework. Displaying 1-16 of 16 items. 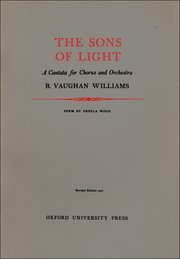 Vaughan Williams arranged these carols during World War 1 for the "choir" he developed among the men in his Field Ambulance unit. In 1917 they were stationed in Greece, near Katerini, on a hillside with Mount Olympus towering above. Ursula Vaughan Williams writes "Another experince, which no one who was there forgot, was carol singing on Christmas Eve: snow-capped Olympus, the clear night, the stars, and Ralph's choir singing carols of Hereford and Sussex with passionate nostaglia. The choir made that Christmas so far from home one that had a special quality, a special beauty, long remembered." 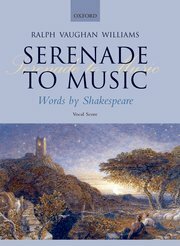 Here's a collection from the great English composer of his original arrangements of three Shakespeare songs, two from "The Tempest" and one from "Midsummer Night's Dream". These are classics! Serenade to Music is sublime - one of the most stunningly beautiful musical creations of the 20th century. This choral meditation on the nature of music and its power to enrapture is a setting of text from Shakespeare's The Merchant of Venice. This tender and much-loved work was composed in 1938 in honour of Sir Henry Wood. It was written for 16 soloists and orchestra but may also be sung by four soloists and chorus, or by mixed-voice chorus. This beautifully presented edition includes an introduction by Michael Kennedy. Also available for full orchestra without choir. Drawing upon the Bible, sections from the Mass, and poems by Walt Whitman, this is a powerful evocation of the destruction and death brought about through war and violence, with an overarching message of peace and reconciliation. Materials for the full and small orchestral versions and an accompaniment for strings and piano are available on hire. This cantata was adapted by the composer from music from his opera Sir John in Love. 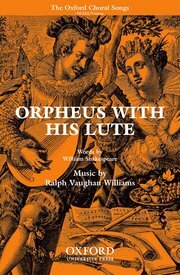 Comprising five choral songs, it features texts by Shakespeare (from 'Much Ado About Nothing') and his near contemporaries Thomas Ravenscroft, John Lyly, and Thomas Campion. The first song is a gleeful denunciation of men and their devious ways, scored for women's voices, while the second is a rollicking drinking song for men's voices. The third maintains this energy, with sparkling orchestration to evoke the 'fairies' of its title, before the 'Wedding Chorus' changes the mood to one of blissful tranquillity. The Epilogue is celebratory and grand, bringing the cantata to a powerful close. All of the songs except the third are available individually. 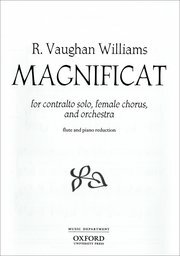 This is an unusual setting of the text, in that after an ethereal opening, a contralto/mezzo-soprano soloist sings the Magnificat text while the female chorus interpolates with other texts in praise of the Virgin Mary. The contrast between the rhapsodic lines of the soloist and the more reflective emotions of the chorus result in a moving work. 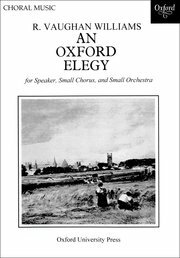 An Oxford Elegy combines adapted versions of The Scholar Gypsy and Thyrsis by Victorian poet Matthew Arnold. It conveys the story of an Oxford scholar who abandons his friends and studies to live in the countryside surrounding the city as a gypsy. The work is unusual in the fact that the text is largely spoken by a narrator, with the chorus providing mostly wordless accompaniment. The result is a highly atmospheric and evocative work that combines pastoral simplicity with darker, more melancholic passages. Scores and parts for the string and chamber orchestra accompaniments are available on hire. In this Christmas cantata Vaughan Williams uses and a wide range of musical styles to create a compelling, vivid, and highly original retelling of the Christmas story. 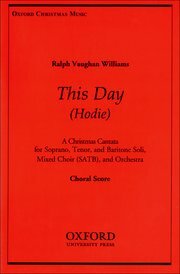 Composed in 1953â4, Hodie (This Day) was Vaughan Williamsâs final large-scale choral-orchestral work, and was premiered under his own baton in Worcester Cathedral as part of the 1954 Three Choirs Festival. 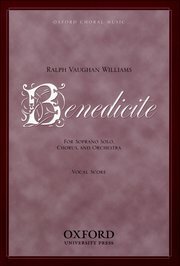 It comprises sixteen movements, including 'narrations' of words from the Bible, chorals, and a variety of other forms for both soloists and choir. The words are taken from diverse sources, with sacred texts from the Vespers of Christmas Day and the Bible interspersed with secular texts by poets including John Milton, Thomas Hardy, and the composer's own wife Ursula Vaughan Williams. This cantata features sixteen highly-varied folk song settings, bound together in seasonal groupings to take the listener on an engaging journey through the year from Spring to Winter. The prologue implores us to 'sing and be merry', and many of the songs facilitate this with their charmingly light-hearted melodies and imaginative orchestral accompaniment. There are also darker moments, such as the haunting and heart-rending setting of 'The Unquiet Grave' in 'Autumn'. Published in 1929, Benedicite is a substantial setting of texts from the 'Song of the Three Holy Children' (part of the Apocrypha) and John Austin's hymn text 'Hark, my soul, how everything'. Forceful and dynamic passages with thick choral-orchestral textures are juxtaposed against more solemn passages, often with a gentle soprano solo floating over the choral texture. Displaying 1-9 of 9 items. 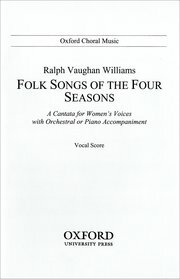 This setting was originally published as part of Folk Songs of the Four Seasons. The attractive melody is set to a lilting accompaniment to create a charming arrangement that will appeal to choirs and audiences of all ages. 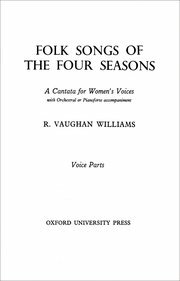 One of Vaughan Williams' most popular arrangements for men's voices, this edition is adapted for 3-part male voices with piano. Despite the morbid title, it is a comical farce, with interweaving vocal lines and lots of opportunities for expression. 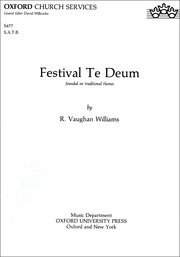 The Festival Te Deum was composed for the Coronation of King George VI in 1937 and sets the Te Deum text in its English translation from the Book of Common Prayer. It is suitably majestic and celebratory in style, though the grand tone does briefly give way in a solemn central section. 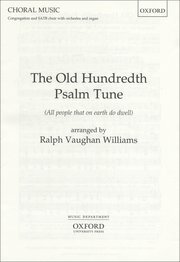 One of the great hymns by Ralph Vaughan Williams, Hart Morris has arranged it for SATB choir and organ. Sure to be a favorite on All Saints Sunday and services honoring those in missions, the congregation is invited to join in the final stanza. 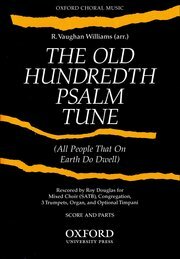 The hymntune remains firmly intact in this arrangement, while the harmony provides creative pleasure and celebration. Uses: All Saints Day, Eternal Life, Heaven, Christian Heritage Scripture: Hebrews 12:1 One of the most revered hymns of the church is given special treatment here by John Purifoy. The optional brass and percussion parts may be used with piano or organ accompaniment, generating a noble rendition of this majestic anthem. Published for the very first time, this is a beautiful arrangement of the old German tune 'Lasst uns das Kindlein Wiegan', setting words adapted from an old Scots poem by Ursula Wood. 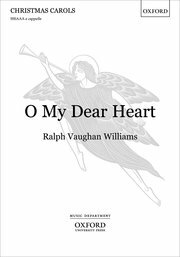 With flowing contrapuntal lines and characteristic harmonies, O my dear heart will be popular with all upper-voice choirs. 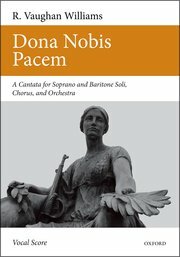 For unison voices and piano or string orchestra. These two settings from the Winter section of Folk Songs of the Four Seasons are full of Christmas spirit. 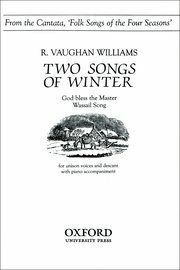 'God bless the master' is a hymn-like setting of a folk song that Vaughan Williams collected in Hampshire in 1909, while 'Wassail Song' is full of joie de vivre. The latter evokes the merriness of wassailing, in which people went from door to door singing carols and exchanging mulled cider for gifts.